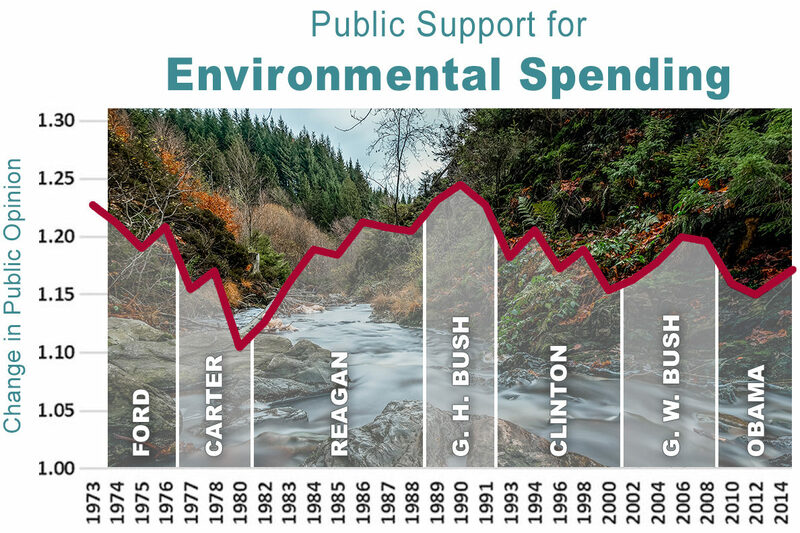 WSU sociologist Erik Johnson has found that support for public spending to protect the environment goes down during Democratic presidential administrations. PULLMAN, Wash. – Erik Johnson has what looks like a surefire way to hurt support for government spending to protect the environment: Elect a Democratic president. Indeed, the current Republican‑Democrat divide over the environment is about the same as it was at the end of the Carter administration in 1980, Johnson said. “What’s driving the divide is really these presidential politics,” he said. Historically, Republicans have been pro‑environment. Abraham Lincoln set aside California’s Yosemite‑Valley for “public‑use, resort, and recreation,” setting the stage for the National Park System. Teddy Roosevelt was “the conservation president.” Richard Nixon created the Environmental Protection Agency. The election of Ronald Reagan, a Republican, “marked a key turning point in the politicization of environmental issues,” Johnson and Schwadel write, as Reagan ran on a platform that included changes in federal land control and rolling back antipollution legislation. Yet support for environmental spending bounced back under his two terms and the subsequent term of George H. W. Bush, another Republican. When a Republican is president, he said, Republican voters will actually come to look pretty much like Democrats and political independents in their environmental support. The first Bush presidency took several pro‑environment steps, including the U.S. Global Change Research Program and the ozone‑layer protections of the 1990 Clean Air Act. Republican voters took the measures in stride.